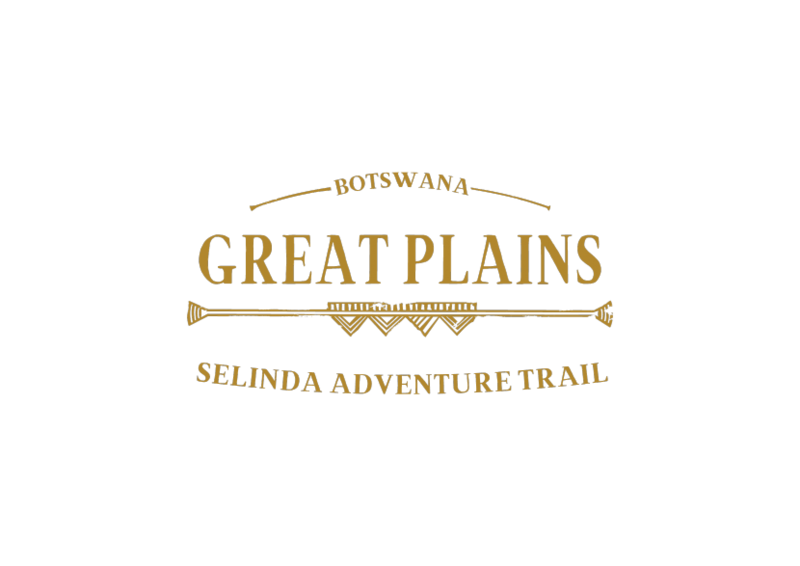 The Selinda Adventure Trail is about as environmentally friendly as a safari gets, using nothing but human energy to walk the trail and/or paddle canoes when flood waters are high enough. Our fly camps are literally here today, gone tomorrow and we leave no trace behind. 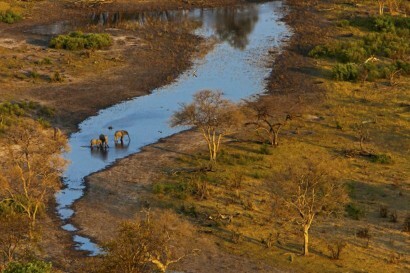 The small group size and low volume results in minimal impact on the pristine wilderness along Botswana’s Selinda Spillway and surrounding woodlands. The trail operates on a scheduled weekly departure basis seasonally each year between May and October, our winter season where there is a good chance of the Spillway flooding to offer canoeing in addition to the guided walking opportunities. We are proud members of Pack for a Purpose, an initiative that allows travelers like you to make a lasting impact in the community at your travel destination. If you save just a few kilos of space in your suitcase and take supplies for the Gudikwe School Initiative and the Gudikwe Artist Initiative, you’ll make a priceless impact in the lives of our local children and families. Please click here to see what supplies are needed for our projects. 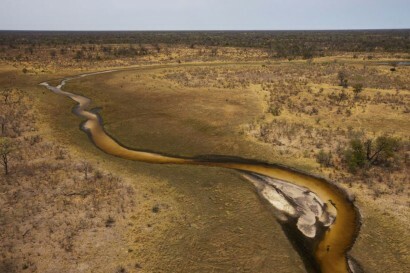 The high waters flowing through northern Botswana in 2009, together with subtle tectonic movements, caused the waters of the Okavango River to flow in a way that it has not done for nearly three decades, pushing east along the previously dry Selinda Spillway to meet the waters of the Linyanti. 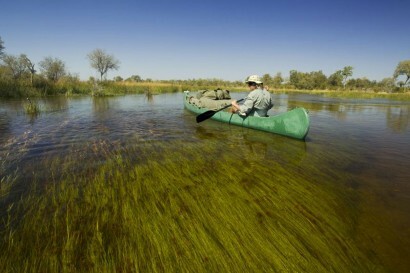 This enabled adventurers the opportunity to experience a rare first, canoeing along the Selinda Spillway. As the waters of the Selinda Spillway ebb and flow each year, some years with higher flood levels than others, so Great Plains Conservation developed a safari experience which is a more inclusive adventure experience that now includes guided walking safaris and is thus now known as the Selinda Adventure Trail. The trail replicates safari experiences of old as we chart a course along the Selinda Spillway and head into the remote woodlands of the vast 320,000 Selinda Reserve over five days. 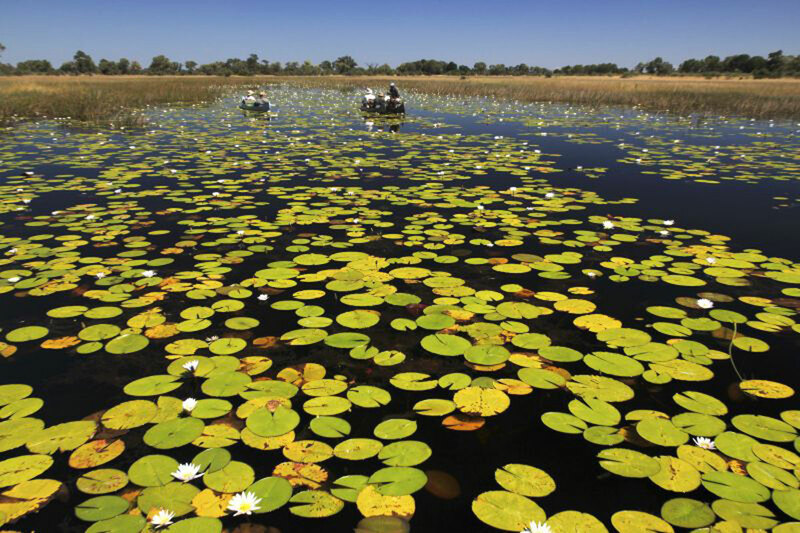 As we are governed by the availbility of sufficient water in the Selinda Spillway, we offer two distinct adventures here for you to enjoy. 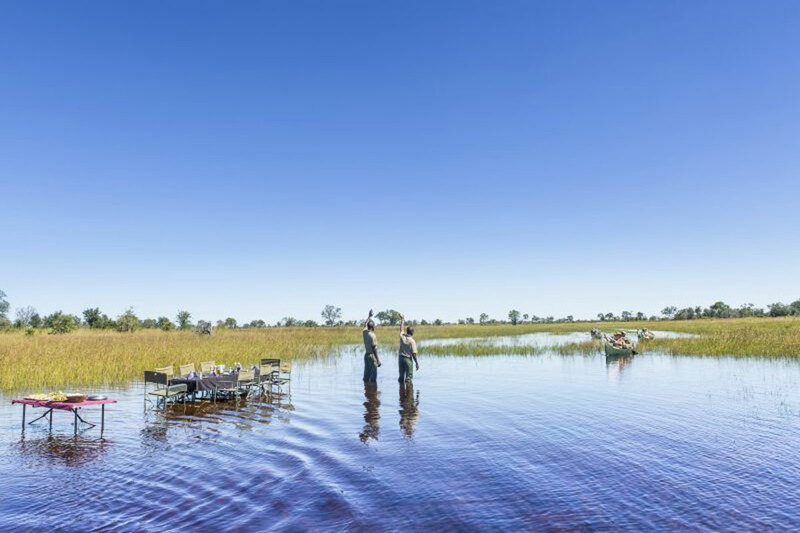 Depending on water levels at the time of a your arrival, we will offer either a canoeing and walking experience, or a purely guided walking experience. 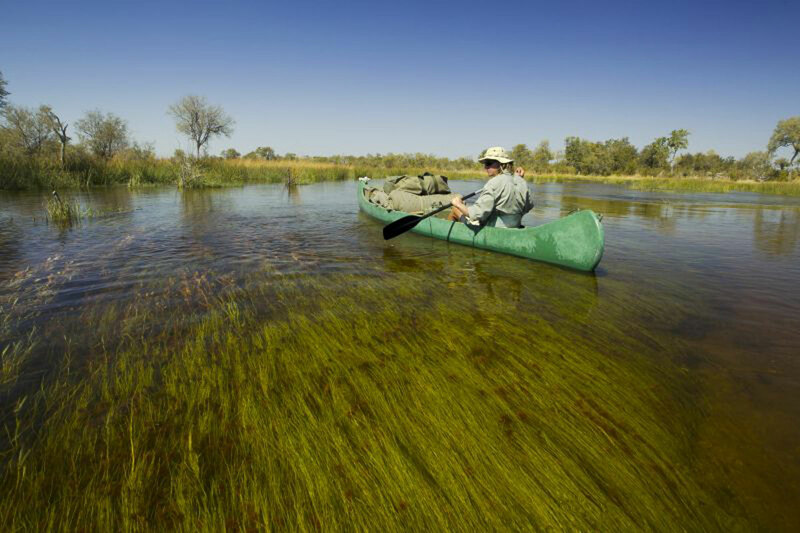 The canoeing experience entails a traditional canoe and walking safari following the course, and exploring side channels, of the Selinda Spillway. 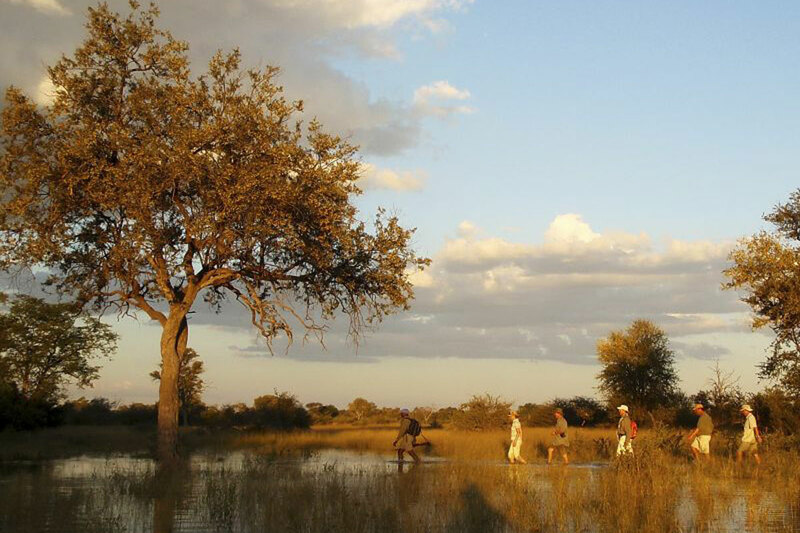 The pure guided walking experience is an amazing, exclusively guided walking safari along exciting sections of the Spillway and inland portions of the famous Selinda Reserve. All adventure trails start at the Selinda Airstrip where you are met and immediately transferred by helicopter to the remote starting point of your relevant adventure. The distance of the Selinda Adventure Trails differ depending on whether it is a walking or canoeing adventure. Over the 4 days the walking distance is just over 20 km and canoeing is approximately 40km. 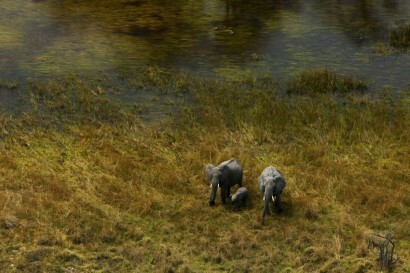 Along either routes we expect to come across many species of wildlife. The Selinda Reserve is well known for some of Botswana’s largest herds of buffalo and elephant, roan antelope and African wild dog. Other possible sightings include cheetah, lion, leopard and variety of other species. 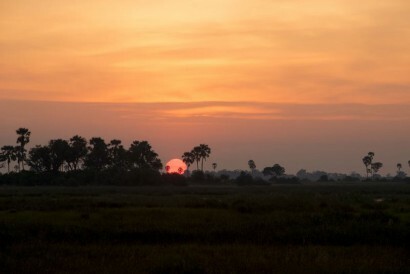 It is also a birder’s paradise with over 300 species possibly seen. All four nights are spent in fly camps along the Selinda Spillway at pre-arranged sites. The days are spent paddling or walking along the Spillway and into the woodlands of the reserve, depending on which option is available at that time, with regular stops whenever there is something of interest to be seen along the way. When canoeing, each canoe has two guests as well as their bed rolls and soft bags. Participants paddle their own canoes each day. 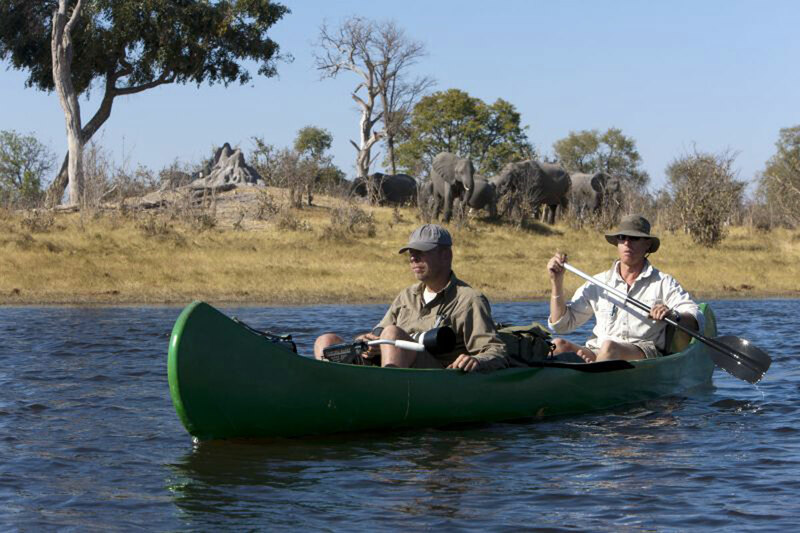 No previous paddling, canoeing or walking safari experience is needed as tuition and safety briefings are given – but participants must be fit enough to paddle their own canoes and be prepared to walk between camps when water levels are not sufficiently high on the Selinda Spillway. 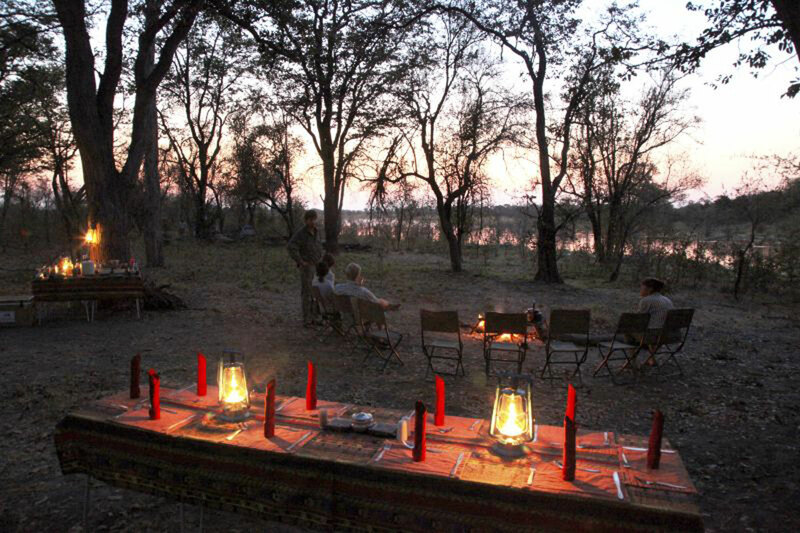 Guests are not expected to put up their tents or help with the cooking and camp chores as our staff are on hand. Walk-in 3m x 2.4m Flex-Bow tents are provided as they are comfortable and large enough for two people. Screened, bucket showers with hot and cold water are also supplied. On the pure walking trail each guest will be supplied with a day backpack which will include water. 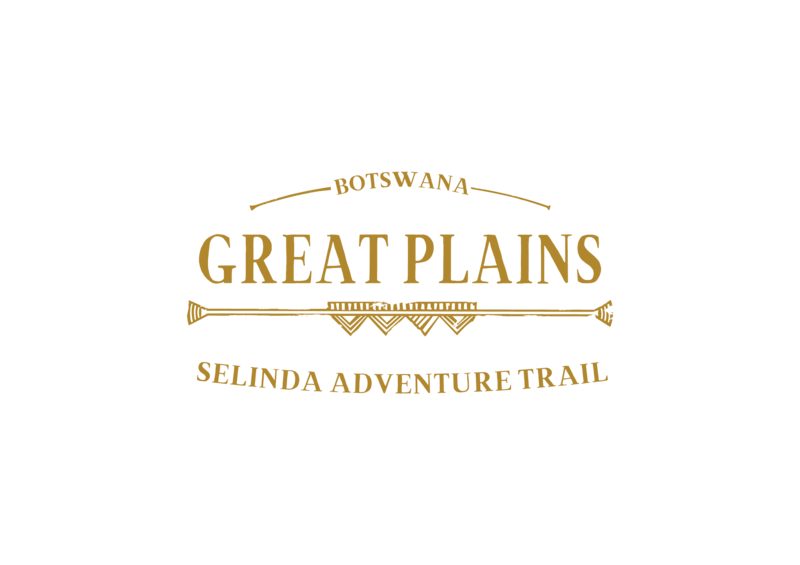 An armed, qualified walking guide as well as an experieced tracker will be with you at all times as you explore the banks of the Spillway water as well as slightly more remote areas of the Selinda Reserve. 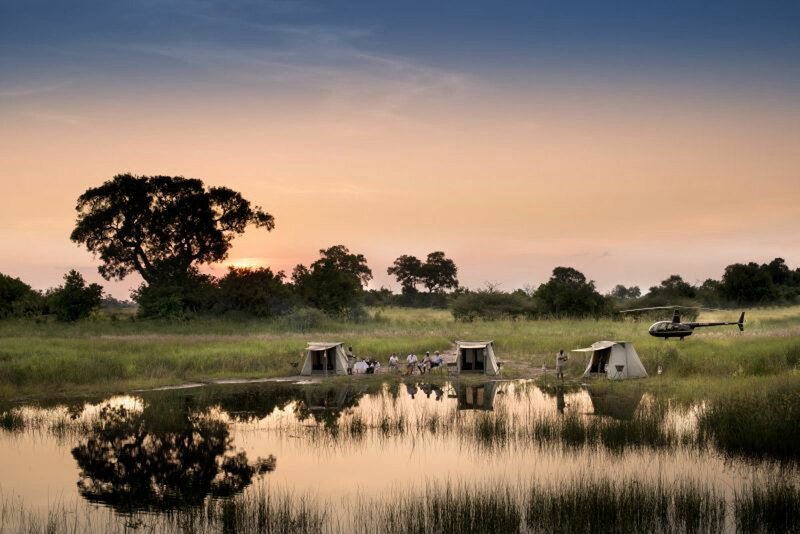 Ideally you could and should elect to stay on for an additional night or two after the you have completed the Selinda Adventure Trail at either Selinda Explorers Camp, Selinda Camp or Zarafa and the Zarafa Dhow Suites. 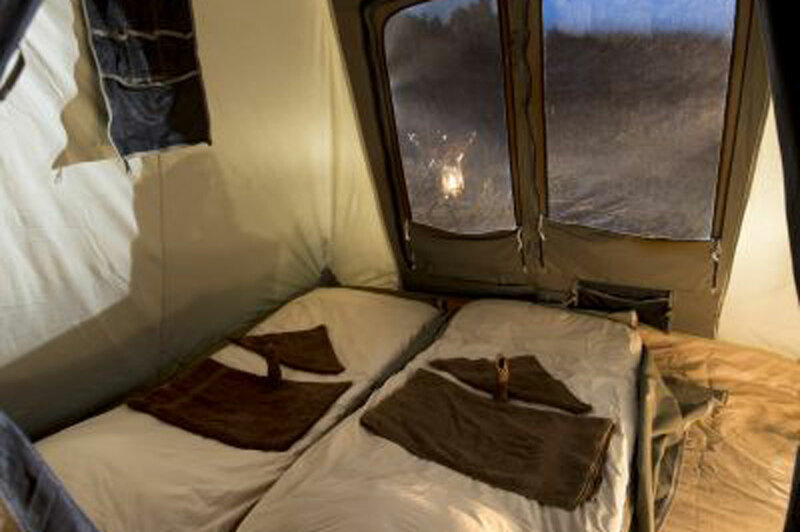 The Selinda Adventure Trail’s camps bring you closer to nature. The overnight camp sites create that sense of wilderness with a clear emphasis on essential camp comforts and maximum wilderness experience. We recommend children join us from the age of 14 due to the daily walking distances that we can enjoy. For guests with children from 10 – 13 years, we look forward to consulting with you to create a private tailor-made safari which may be subject to an additional cost.